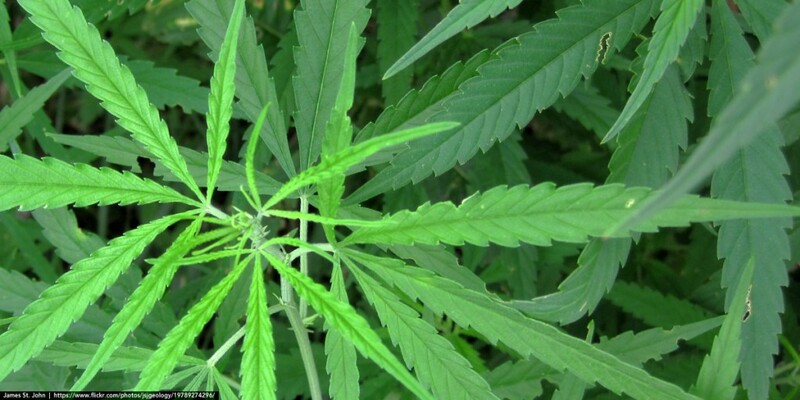 Hawaii was the first state to legalize medical marijuana. But unless you were willing and able to grow cannabis on your own, it was a largely useless privilege for more than fifteen years. A practical path to medical marijuana cultivation and distribution only took root in July, with Gov. David Ige signing two new medical marijuana laws: HB321 provided the framework to license medial marijuana dispensaries, and SB1291 provided patients with stronger civil protections. Hawaii is now a late-comer to legalized marijuana, and there is massive pent up demand for the product — and the business opportunities that come with its wider availability. But the process is new and somewhat convoluted, prompting a lot of confusion (and prompting lawyers to opt-out of the process). You’d think there’d be plenty of time to sort things out, but after waiting for meaningful change in Hawaii’s laws since the turn of the century, the timeline is now surprisingly short. 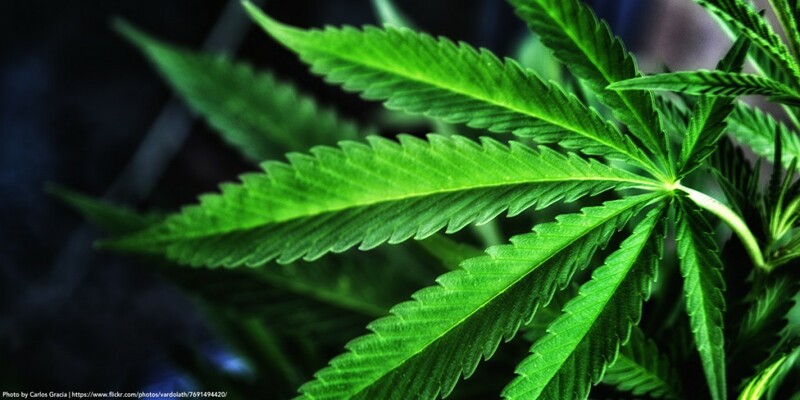 The state Department of Health got less than six months to develop the rules to govern dispensaries, and the process and selection criteria to grant licenses. That’s a blink of an eye as far as government rulemaking is concerned, and the legislature actually allowed the department to skip the usual public input period to get everything done. On Jan. 4, 2016, the framework will be released. On Jan. 11, applications will be made available. Anyone interested in running a medical marijuana dispensary in Hawaii will have only eighteen days to submit the required paperwork. The economics involved are not trivial. Just to apply, applicants must demonstrate that they have $1 million in the bank, pay a $5,000 application fee, and be ready for a $75,000 license fee if they’re accepted. Then, each dispensary license will allow for two cultivation sites with up to 3,000 plants, and two dispensing locations that must be separately located. From infrastructure to rent to security, that’s a big up-front investment. It could cost as much as $5 million to get started. Of course, the upside could be even bigger. Other states have generated impressive numbers: Colorado saw $7 million in tax revenues in only the first few months of operations. Washington state hopes to see $190 million in taxes and fees in the next three years. An oft-cited UH study said that Hawaii could generate $11 million a year in taxes… and save $3 million a year in law enforcement and court costs. Given the uncharacteristic but perhaps inevitable rush to get things going, the time to start planning was yesterday. 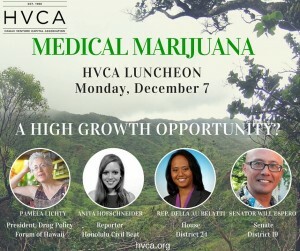 But if you need some perspective on the green stuff — and the greenbacks involved — the Hawaii Venture Capital Association has you covered on Monday. HVCA President Meli James previewed the luncheon on yesterday’s Bytemarks Cafe. The event will be held at The Plaza Club (900 Fort Street Mall) beginning at 11:30 am. on Monday, December 7, 2015. Advance registration is $36.86 for HVCA members and $47.41 general admission, and while there is an ‘at the door’ ticket price, James said she expects the luncheon to sell out. For more information, visit the Eventbrite registration page, or the Facebook event page. To learn more about the HVCA, visit HVCA.org, or follow @HVCA808 on Twitter.